The PMP plays a huge role in your professional management career and on your future as a whole. The exam has many different choice for possible study guides, from just overview books like the PMBOK to guides geared toward the exam. The PMP, Project Management Professional certification exam, is a very difficult test, and has a big say on your project management future. 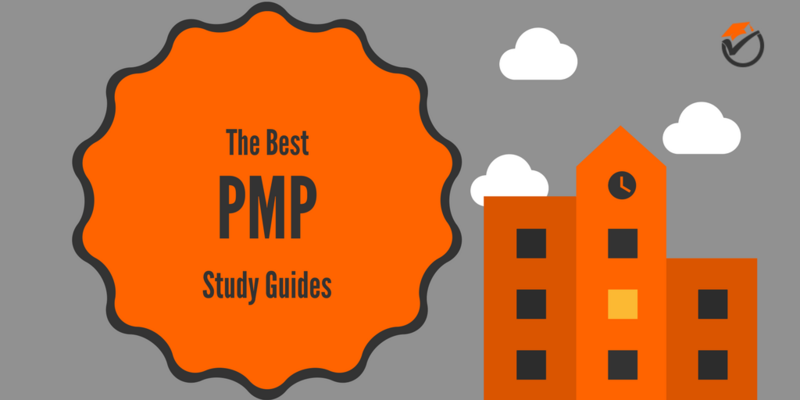 Because of these reasons, I have created this list of the best PMP study guides. All of the info below should make it very easy to choose which prep book is right for you. Ready to see which guides came out as the best? 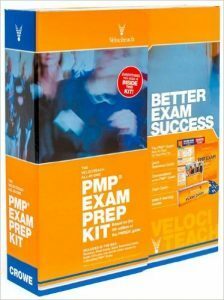 Velociteach All-In-One PMP Exam Prep Kit is our number 1 best overall test prep kit on our list of the top rated PMP prep guides. This test prep kit has a gargantuan amount of resources to help you prepare for the test. Everything from audio CDs, quick reference guides, flashcards, practice questions, and of course the test prep book, is included with this kit. All these materials will allow you to make sure that you are fully prepared for the test. This review kit leaves nothing out. Inside of the test review book there is an in-depth review of all of the subjects covered on the test. Another strong point of this test review kit are the practice questions. The sample questions are very similar to what you will see on the test. They are of the same difficulty so you will not be surprised on test day by questions that are a lot more difficult than what you have prepared for. Also, the review guide has excellent test tips and strategies. These tactics allow you to slip past the tricks the test makers will try to throw at you on test day. Knowing these tips will give you a leg up to your competitors on test day. The one main week point of Velociteach is that there are some editing and typographical errors. These errors can sometimes be distracting while you are trying to get your study time in. But this is somewhat understandable considering all of the materials that you receive with this test review bundle. Although this bundle has this one flaw, it has many strong points to make up for it. Because of this we rank Velociteach All-In-One PMP Exam Prep Kit as our best overall exam prep kit on our list of the top review guides. 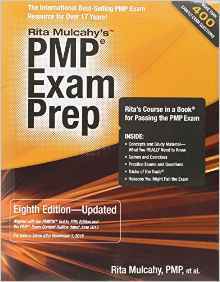 Rita Mulcahy's PMP Exam Prep is our number 2 best overall and best value prep book on our list of the top PMP review books. Rita, the prep books author, is very well known for her PMP prep books and courses. And this review book certainly lives up to her example. Rita’s test process map, contained within this review guide, really allows you to see the test for what it is and to help you tackle it on test day. It really brings the topics all together and makes them makes sense. The preparation guide goes above and beyond just the processes and ITTOs and actually shows how the PMBOK framework can help you be more knowledgeable, effective and prepared. This review guide also includes a bunch of tips on how to avoid the mistakes that others have made. Learning from your mistakes is an effective way to study, but learning from others’ mistakes is even better. If you can learn from others’ blunders then you do not to make the same errors yourself. For example, this review guide gives you reasons why others might fail the test so that you can avoid them yourself. One main flaw of Rita Mulcahy's Exam Prep is that some of the exercises in the book are somewhat simple and not very useful. They are open-ended and don’t really give a clear description of what the answer should be. They are also somewhat distracting, diverting you from what you really need to learn for the actual test. Although with this one weakness, this prep book still has many strengths. Because of this, we rank Rita Mulcahy's PMP Exam Prep as our number 2 best overall, but best value prep book on our list of the top PMP certification study books. PMP Certification Exam Prep is our 3rd best overall prep book on our list of the top PMP preparation guides. 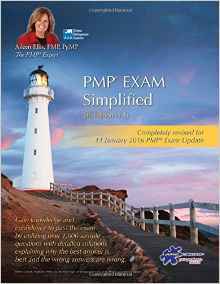 One positive of PMP Certification Exam Prep is that the writing and format is very clear and organized. There is no clutter in this study book. This really makes it easy to pick it up and start studying right away; it is very clear with the overarching structure distinctly pointed out. One big strong point of the preparation book is the chapter on how to pass the test on your first try. This chapter gives tons of strategies and tips so that you don’t slip up on test day. You should really read this section multiple times to make sure that you know all of the contents within. This review book also has the most practice questions out of any review guide on our list. The good thing about these practice questions are that they are very similar to the problems you will see on the actual test. These questions are of similar format and difficulty, meaning that you won’t be surprised on test day by questions that seem unfamiliar or that you have not prepared for. The one main weak point of this review guide is that some of the practice questions seem to be out of place or out of order. Sometimes the sample problems seem to be put in the wrong section of the test or the unit that they are in does not seem to cover the content of the questions. This can sometimes be confusing when you’re answering a problem that you do not have all of the information to answer correctly. Because of this, we rank PMP Certification Exam Prep as our 3rd best overall prep book on our list of the top prep guides. 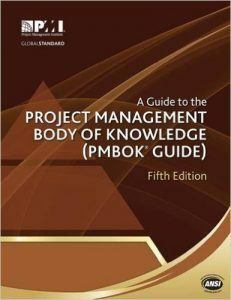 The PMBOK Guide is our 4th best overall prep book on our list of the top PMP certification preparation books. The PMBOK Guide is the official guide that the test is based off of. If you are looking for a thorough review on all the subjects that will be on the test, this book is it. Because the test is based off this book, it would be a good idea to pick up this prep guide as a supplemental review. The overview in this book is more refined and is more consistent than the other reviews inside of the prep guides on our list. The descriptions, illustrations and context is clearer and less confusing than other guides. The one weak point of the PMBOK Guide is that it only provides review. There are no practice questions or tests or test taking strategies to help you on the test. If you’re looking for this you may need to pick up a different review guide on our list along with this one. This guide does not have everything that you need to prepare for the test, but it is the book that the exam is based off of. Because of this, we rank the PMBOK Guide is our number 4 best overall prep book on our list of the top review books. PMP Exam Simplified is our 5th best overall and budget pick prep book on our list of the top PMP prep guides. At 486 pages, this review book is the shortest book on our list, but it makes up for this by being concise and to the point. This conciseness this makes sure that you do not waste your time while the book cuts all of the fluff and filler that sometimes clutter longer preparation guides. This study book is also well organized and laid out. It is organized by process group and not by knowledge area. As stated in the book, “many people find the practice of thinking in terms of process groups and not in knowledge areas much more useful in understanding project management as well as fasten the exam”. Another positive of this review book is that there are a ton of practice problems. These practice problems make sure that you get in enough repetitions to be prepared for exam day. You will not be surprised on test day by questions that you have not seen before because, hopefully, you will have practiced everything that can be thrown at you. One main flaw of this study book is that it is very short. As stated earlier in our review, this sometimes gives strengths but it also has weaknesses. Since this study book is very short on length, it has no exhaustive review of the topics. If you are looking for an in-depth review, you may need to purchase a supplemental guide. Because of this we rank PMP Exam Simplified as our 5th best overall prep book on our list of the top preparation guides to prepare for the PMP certification. 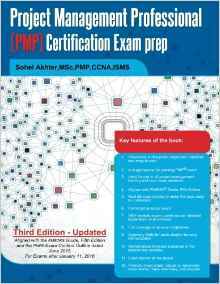 If you are looking for the best overall study book then purchase Velociteach All-In-One PMP Exam Prep Kit. If you are looking for a guide with a little bit better value then pick up Rita Mulcahy's Exam Prep. And, of course, if you are on a tight budget then buy PMP Exam Simplified. Also, The PMBOK Guide is always a good guide to pick up as a supplement.